Fridges, power for lights and charging have all made remote camp life more civilised than ever before. This power has to come from somewhere. Camping solar systems have come a long way, and it’s no surprise that solar is now the most popular choice. 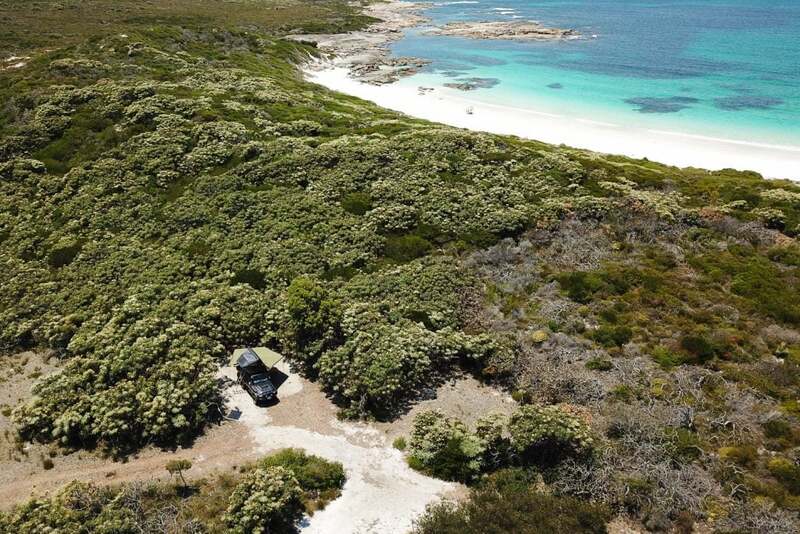 While powered sites and generators work, clipping those cords and quietly going off-grid with a camping solar system opens up a world of peaceful camping options. For touring or overlanding style trips power is relatively straightforward. A quality second battery will store power for the night and can easily be charged from the daily driving. For many people, ourselves included, settling in for a few days in someplace stunning is often a highlight of a trip. It’s these longer stays that usually present power management challenges. We see there as being three main considerations that will impact the success of your power system off-grid: power storage, power production and power consumption. Power storage is a bigger factor than many realise. Put simply if you start with lots more power, and can store more power on the really sunny days, it makes an enormous difference. Producing power with solar panels is relatively straight forward, but there are a few things to consider to get the most power back into your batteries. Panels fixed on vehicles and campers are good, they’re ready to go, but the challenge is if you want to camp in a nice shady spot. We carry a solar blanket for this reason, and lots of travellers with fixed panels also carry blankets giving them the best of both worlds. It’s worth matching the wattage of your solar panel to your battery storage. It’s great to have big production capacity, but if you have a small battery most of the day the battery will be charged and that power will go to waste. Solar panels drop in efficiency based on the type of quality of the panels, quality and gauge of the cable and position and amperage of the regulator. Battery types make a difference too, with lithium batteries absorbing and holding charge more efficiently than other options. The final consideration and one of the most difficult are looking at power consumption. If we use more power than we produce it’s only a matter of time until we run out of power. The time we can last will depend on the gap between production and usage, and the capacity of our batteries. REDARC’s solar calculator is a handy tool for planning system requirements. The goal for many is self-sufficiency. 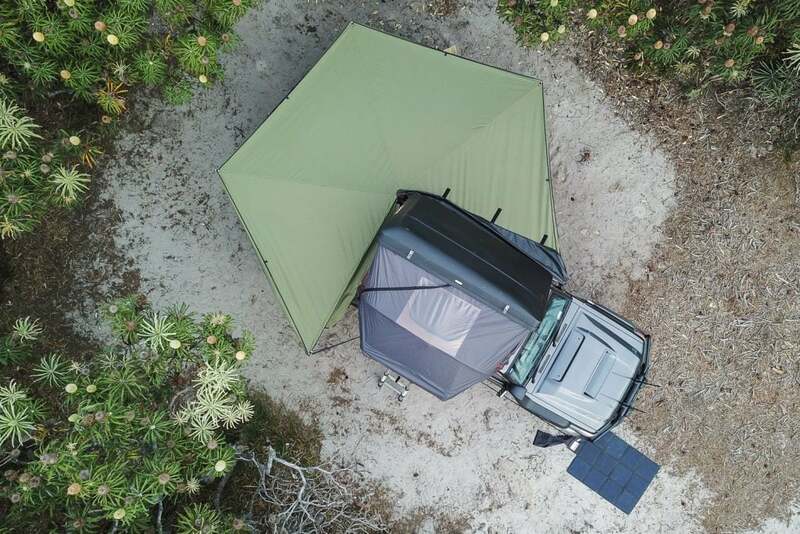 A large capacity camping solar system will get you charged up quickly on good weather days, while a large battery bank will get you through the cloudy days. High capacity systems will often go into float mode in the afternoons when batteries reach full charge. This is a great time of day to switch on your 240 volt inverter and charge any electronic devices, it will have little impact on your power levels. 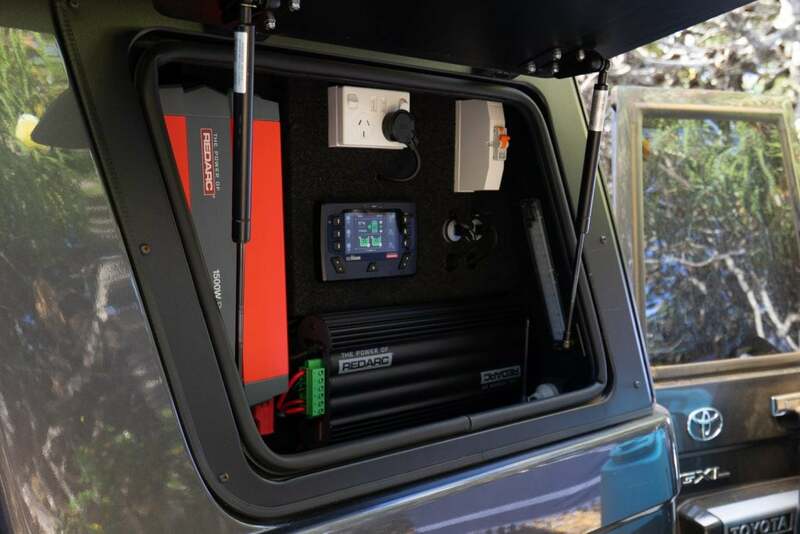 In our LandCruiser we have a 180 Ah lithium battery, which is equivalent to approximately three 100 Ah lead acid deep cycle batteries. 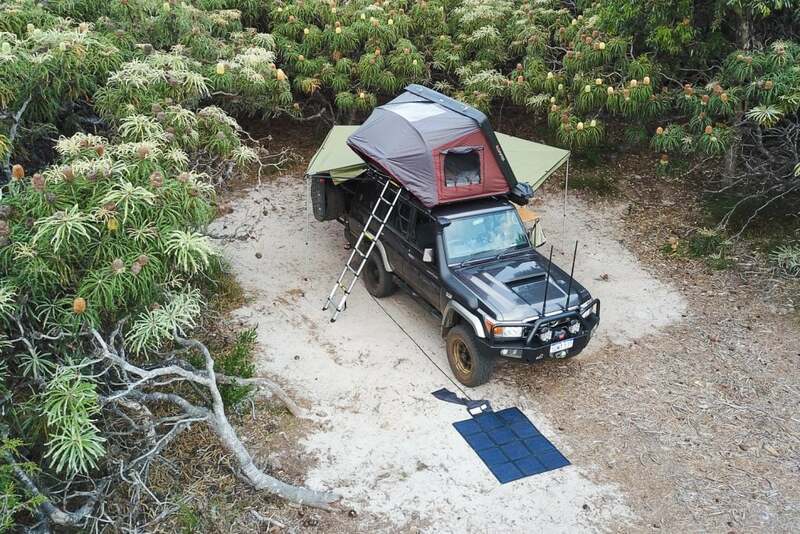 With a 150-watt camping solar blanket, we can produce all the power we need while powering a fridge and periodically running our inverter to charge our camera batteries and other gear. On poor weather days, we finish the day with a lower charge, but we catch up on the good days, and usually finish each day with close to 100% charge ready for the night ahead. 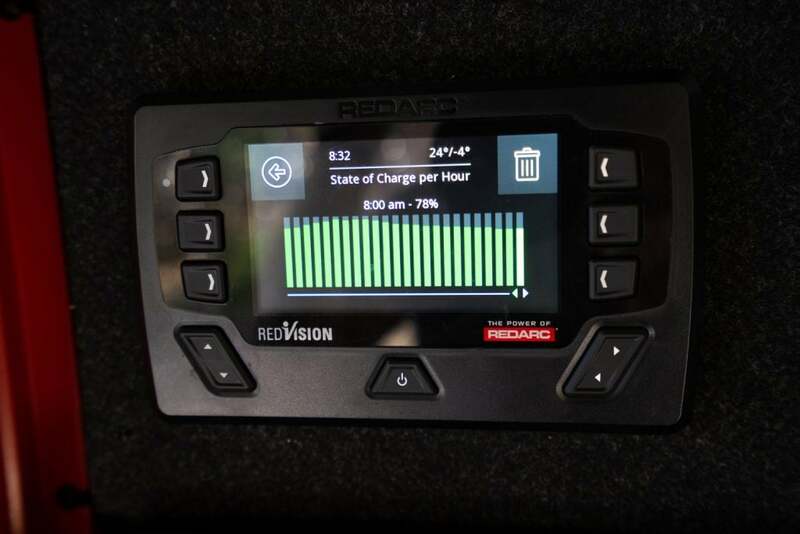 Our charger is linked to a REDARC RedVision which displays our charge level, power in and power out on the display and app of the unit. It’s an easy reminder to move the solar blanket if it’s in the shade and makes it easy to see what power we are producing and what we are using. We run most of our accessories off our secondary battery, so it makes it easy to see if we have left the UHF radio or a water pump on, that is draining the system unnecessarily. 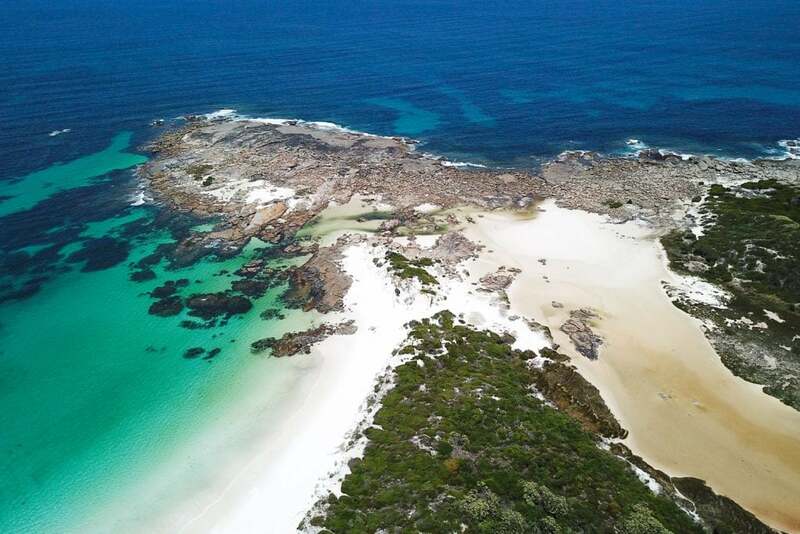 If you are yet to make the plunge off-grid, it’s far easier than most think, and you’ll likely love the places you end up.